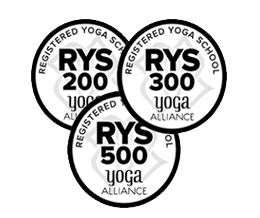 List of Australia based yoga schools, centres, institutes, studios (RYS 200, RYS 500) registered with Yoga Alliance offering yoga teacher training courses and retreats in Caloundra, Chatswood, Penrith, Parramatta, Melbourne, Coburg, Perth, Ipswich. Blacktown, Canning, Vale/Perth, Campbelltown, Surfers Paradise, Doncaster, Geelong, Dandenong, Beenleigh, Tamworth, Adelaide, Newcastle, Bankstown, Cheltenham/Melbourne, Hervey Bay, Townsville, Burleigh, Heads, Darwin Strathfield, Wollongong, Mandurah, Albury, Werribee, Cairns, Sydney, Clayton/Melbourne, Brisbane, Launceston, Bunbury, Liverpool, Bendigo, Fremantle, Bundaberg, Mackay, Burnie, Canberra, Ballarat, Chadstone/Melbourne, Rockhampton, Toowoomba, Baulkham Hills, Sunshine/Melbourne, Hobart, South Australia, New South Wales, NSW, Tasmania, Queensland, Victoria, Western Australia, Bangalow. Yoga Trinity is an internationally registered yoga school that offers comprehensive and inspiring education in Yoga, Pilates, and Thai Yoga Massage in Australia, Canada, and online around the world. Our approach is informed and supported by time-tested experiential education methodologies and teachings from the Kripalu Yoga tradition, as well as ever evolving discoveries about the human body, mind and spirit. Knoff Yoga combines the anatomical alignment and intelligence of Iyengar Yoga, with the energetic principles of Ashtanga Vinyasa Yoga, resulting in the 5 Pillars of Practice. Our passion is to share the gift of Yoga in it’s deepest essence which is beyond the Physical. Our main form of practice and the lineage from which we come is Vinyasa yoga, a dynamic flow which gives the freedom to creatively express oneself. Power Living was founded by Duncan Peak in 2004. Passionate yogi, soul surfer and spiritual warrior, Duncan has pioneered the development of modern yoga in Australia. Practicing for nearly two decades he has extensive yoga and anatomy training. The Shantarasa global yoga community accesses a comprehensive life-long yoga education including 200 hour, 300 hour, 500 hour Yoga Teacher Training courses with international accreditation through Yoga Alliance.